← Ham Genious…. or Genious Ham? As my mind was still rambling around the arabic theme we both agreed (my mind and moi) that a nice risotto but more pilav style was required. And since both dishes are made of rice cooked in broth and then with some extra ingredients, I thought that risotto rice would do just fine. 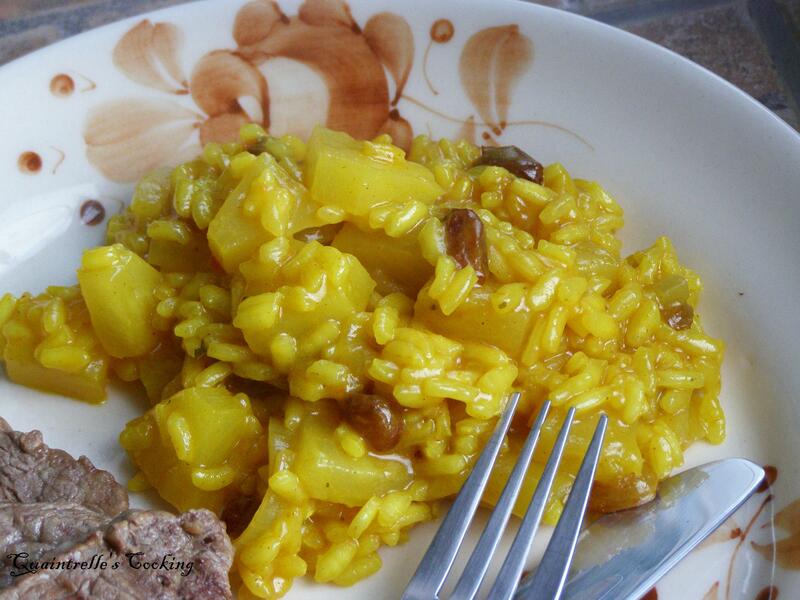 I still had some of risotto rice that I brought from Italy last August and I love cooking with it. The beef tenderloin is the best just grilled with salt and pepper, otherwise I’d have impression that I spoiled it and probably would end up hearing Gollum’s voice screaming in my head: you spoil it! Youuuu spoil it, stupid fat hobbit! 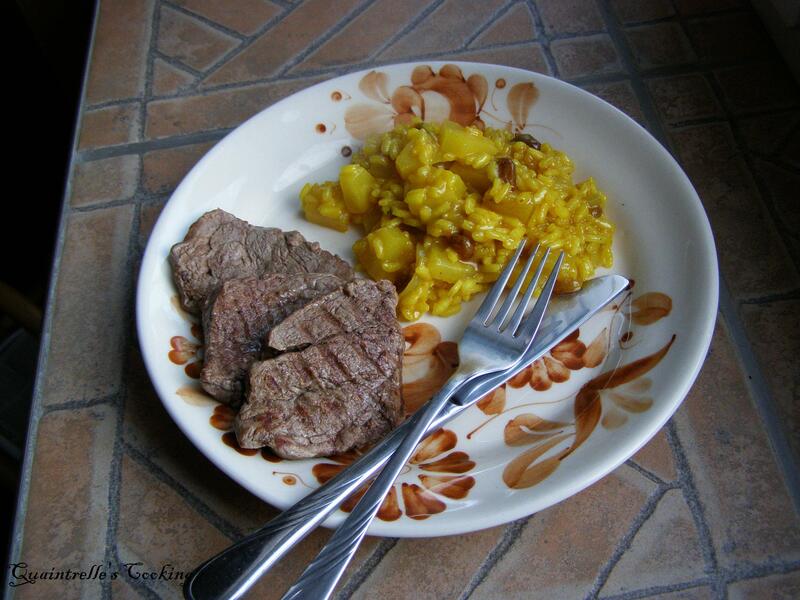 This entry was posted in beef, food talk, pilav, pineapple, recipe, risotto, sirloin, soul food and tagged beef, onion, pilav, pineapple, raisins, risotto, sirloin. Bookmark the permalink. looks so tasty, and colourful. steak looks good too. wish you were here so i could taste it! congratulations on another fab blog! Thank you Sweetie! I know but will cook for you one day! It looks delicious!!! 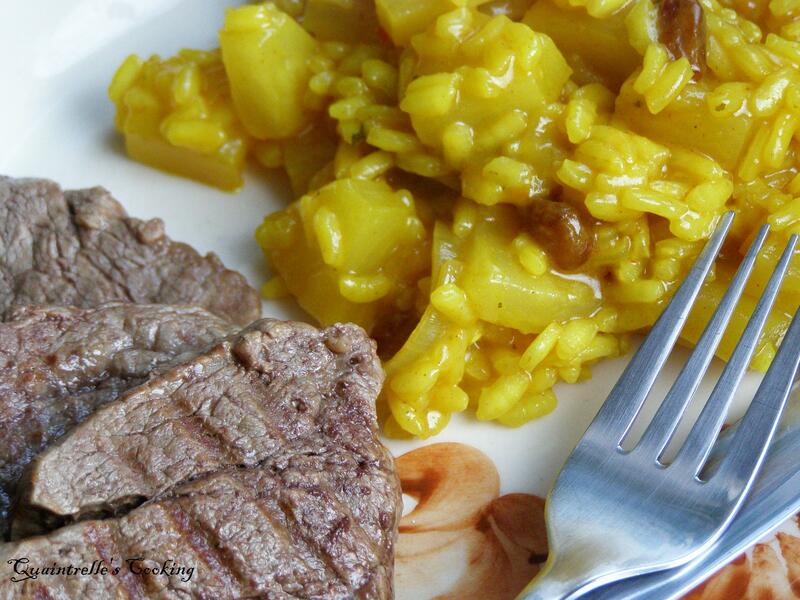 I love that rich yellow color..
Yummy, yummy, YUMmy! We are only having our second snow of the winter today and I’m still loving it (nowhere to be, cozy inside). But I certainly get to where you are in the winter. 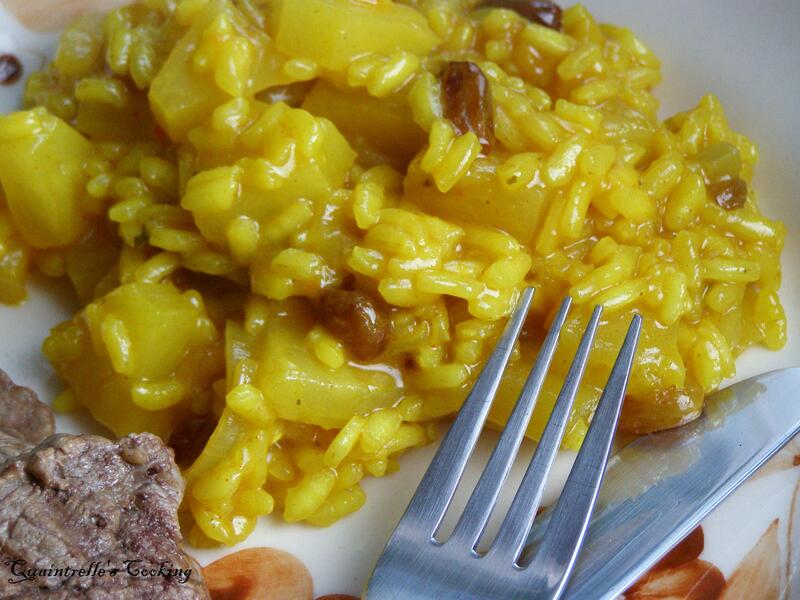 What a beautiful and vibrant dish…..just like you! Loved your ‘with enough alcohol’ comment on my blog post! So true….